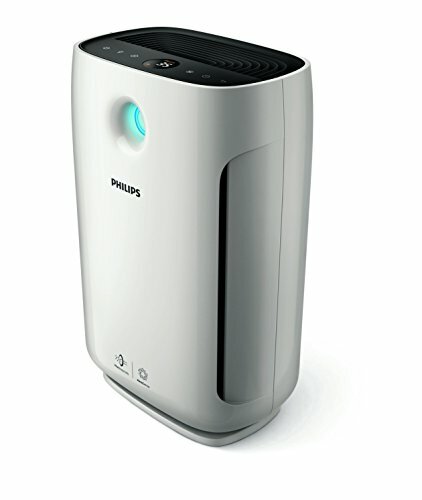 The Philips AC1215 air purifier is the latest model from the consumer electronics giant. It has been specifically designed for your bedroom and incorporates various features such as night time sensing, reducing the brightness of the LCD display and switching to whisper quiet mode. 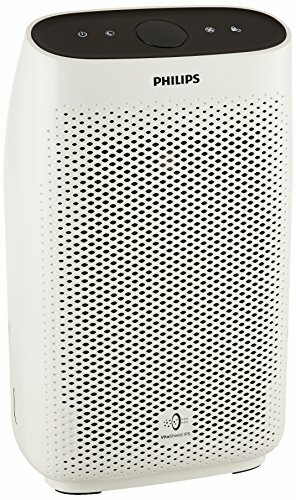 With a slew of new models and brands hitting the market such as the exceptional Mi Air Purifier 2, Philips had to up its game with the AC1215. This review looks at whether they managed to achieve that. Check out this unboxing and setup that an AC1215 customer has posted to YouTube. It’ll give you a sense of the size and noise that the unit produces. For an air purifier that has been specifically designed for the bedroom, we were expecting the AC1215 to be smaller than it is. Both the Philips AC4025 and the AC4012 are smaller and have less depth than the AC1215. Both those units are lighter as well, which makes it easier if you want to move the air purifier into different rooms. Looks wise, it’s not going to win any awards. This is the base model offered by Philips and perhaps to keep the costs down, not as much effort has been put into the aesthetics of the unit. The AC1215 is going head to head against the Mi Air Purifier 2, which costs about the same. The big benefit of the Mi Air Purifier 2 is the app based control where you can change the settings and see the performance of the air purifier. If app based control isn’t something you are interested in, then the AC1215 is the perfect alternative. There is not much you can change on the AC1215 as it’s a very basic model. However, you can change the fan speeds depending on the reported air quality in your home. If you haven’t run the unit in a day or two, then you can rapidly purify the air by cranking up the fan speed – which also increases the noise. The intelligent NightSense mode recognizes when it’s night time and automatically dims the LED lights and reduces the fan speed to whisper levels (33 db) – your air conditioning unit or ceiling fan are going to be louder than the air purifier. A visual colour reference is used to give you real-time feedback on the air quality in the room. The LED lights change colour depending on the amount of harmful particles in the ambient air. This visual cue is especially useful to know at a glance what the quality of air you are breathing is. Finally, a child lock is in place to ensure that children can’t play around with the settings – not that there is much that can be changed. There’s no timer setting to switch off the unit after a prescribed amount of time. However, there is an auto-setting that will switch the unit on and off for hassle free operation. Philips claims the AC1215 has an effective coverage of 678 square foot which is huge given its price. The only way they could be claiming this is if the unit was left of the fastest fan speed (which is noisy) for several hours. Also, because the unit competes so closely with the Mi Air Purifier 2, which has a coverage of 400 square foot, Philips probably feels the need to point to this basic measurement as a selling point. At the whisper quiet noise levels, the fan definitely isn’t strong enough to circulate the air in a 600+ square foot room. Also, given the AC1215 is being marketed as a bedroom air purifier, we don’t think there will be too many bedrooms exceeding 700 square foot in space! Coverage doesn’t mean much without knowing the Clean Air Delivery Rate or CADR as it’s known in the industry. It’s the rate at which the air purifier can clean the air. The AC1215 has a CADR of 270 m3/hr. By comparison, the Mi Air Purifier 2 has a CADR of 310 m3/hr, which is faster. All this means that while Philips claims the unit has a coverage of 678 square foot, the rate at which it can clean that air will be quite slow. Again, the inflated coverage numbers don’t make sense in the context that the unit is being sold. It will work great for a bedroom or small room, but for larger rooms, you need an air purifier like the Philips AC2887 or even the AC4387. Like most air purifiers, the AC1215 requires very little power to keep it running. Even at full power, it’s only drawing 50 watts. During its NightSense operation, it’s drawing as little as 11 watts, which is about what a energy saving light bulb draws. To be clear, the electricity costs of running one or two air purifiers at home is going to be only a marginal increase in your monthly electricity bill. The real ongoing costs are the replacement HEPA and activated carbon filters. The HEPA filter costs around Rs 3,000 and needs to be changed every 2 to 3 months in cities like Delhi (and even every month during the winter when pollution is at its worst). For less polluted cities, you might be able to run the air purifier for upto six months before the filter needs to be replaced. You must be aware that running an air purifier has these ongoing costs. On one hand it’s a pain, but on the other hand, think how much pollution and harmful PM2.5 particles you would otherwise be breathing in! The Philips AC1215 is squarely aimed at competing with the Mi Air Purifier 2. It’s designed for the bedroom with its NightSense features and whisper quiet operation. You can also use it in other small rooms like a study if required. Remember, an air purifier in one room does not clean the air in another room, even if the door is open. Although the reported coverage is quite high, we firmly believe this is an exaggerated claim. The MRP for the AC1215 is Rs 11,995 and that’s what you’ll pay if you buy it directly from Philips or in your local household appliance shop. For the best deal, you can head over to Amazon where you can find it on sale for much cheaper. We’ve even seen it as low as Rs 9,000. If we were in the market for an air purifier that was less than Rs 10,000, we would probably consider the Mi Air Purifier 2. 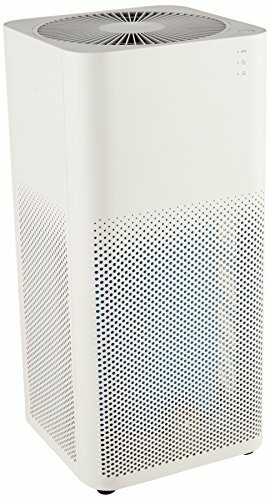 It’s not that the AC1215 is bad, it’s a good solid air purifier. It just hasn’t impressed us as much as the Mi 2. However, if you want a recognized brand name for your home, perhaps the AC1215 is the right model for you. Can filters be cleaned instead of replaced. The filters are too much costly to keep buying. Hi Hemalatha, good question! You can take out the pre-filter and wash it like you would do on an air conditioner filter. However, the HEPA filter is a ultra fine mesh that is designed to trap the tiniest of particles and washing it is not very effective at cleaning it. So you would have to continue buying the HEPA filter when it becomes clogged up with the PM2.5 particles. 2) It has a washable pre-filter ship Mib2 doesn’t. 3) Its room coverage is more. My Philips air purifier AC1215 colour indicator always remain red even I run it for whole night in closed room. Is it working well or has some problem? Which Air Purifier © 2019. All Rights Reserved.